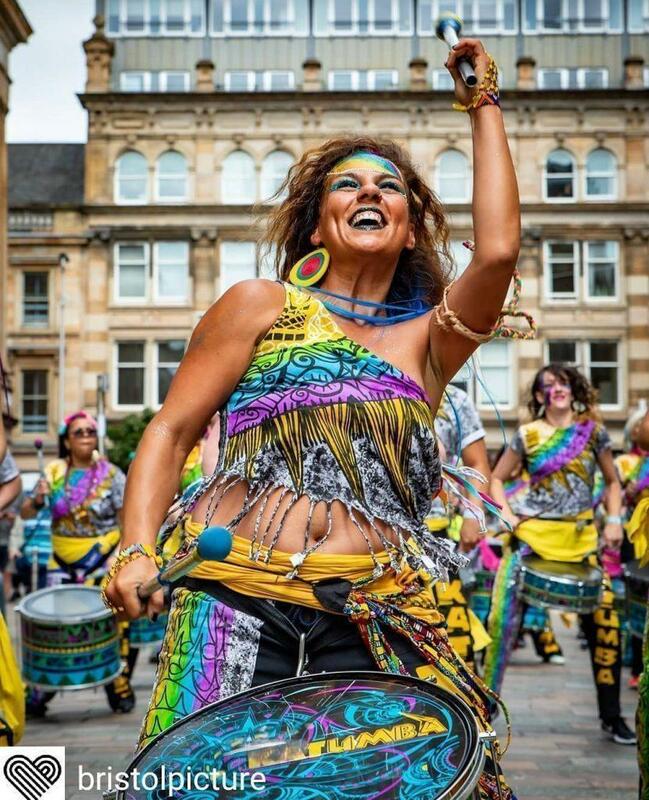 Hosted by Oi Musica and SambaYaBamba, this colourful celebration of street and carnival music sees over 25 UK and international groups take over Glasgow’s Merchant City with a spectacular mass of drumming, brass, percussion and dance. 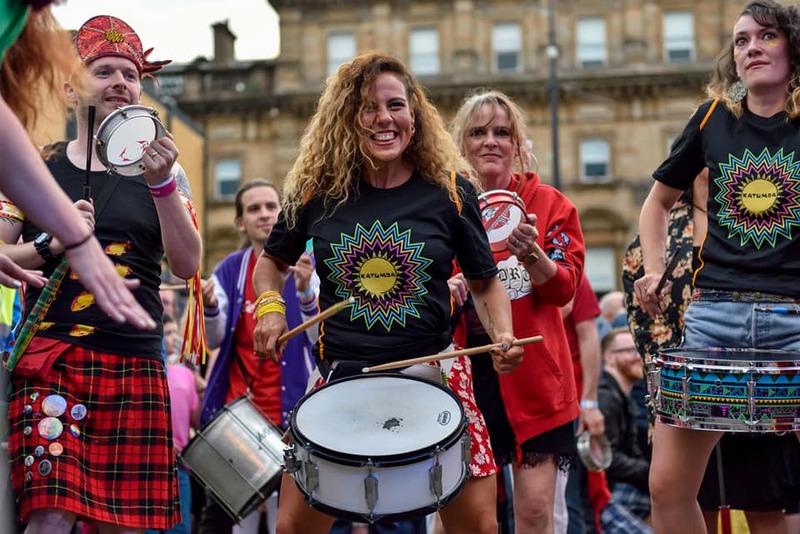 Drummer Jen tells us all about her experience of the festival as part of a drumming band, and why she’ll be going back next year! 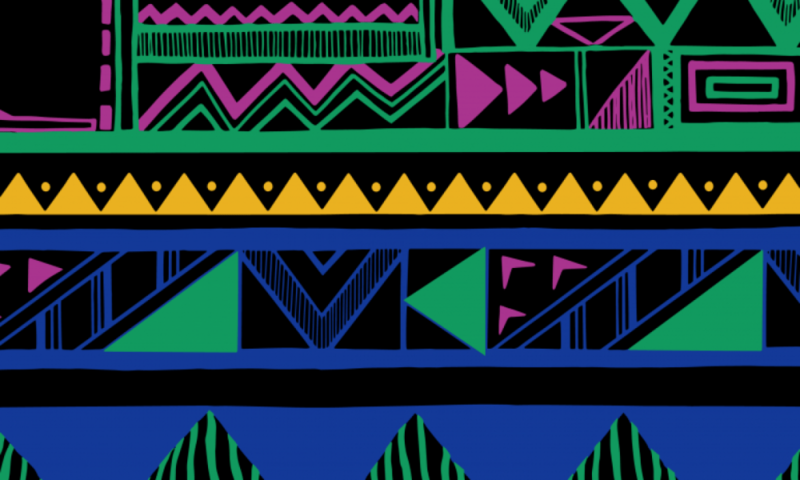 “I’ve been a member of the Katumba tribe for a little over a year now. 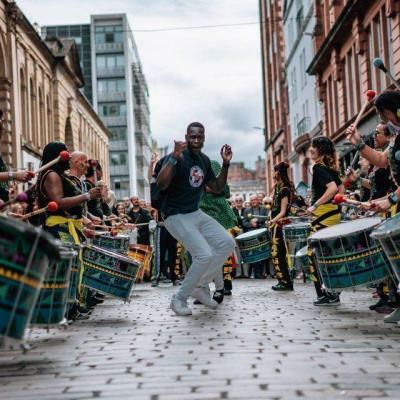 Katumba has given me something to look forward to each week and has helped to improve my body and mind as I have become physically fitter and made some amazing new friends. 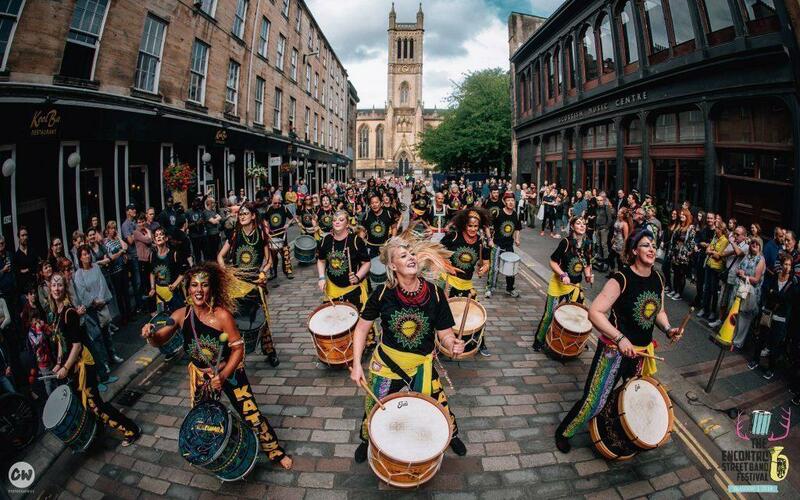 I was delighted when I heard about the Glasgow trip to the Encontro Street Band Festival. 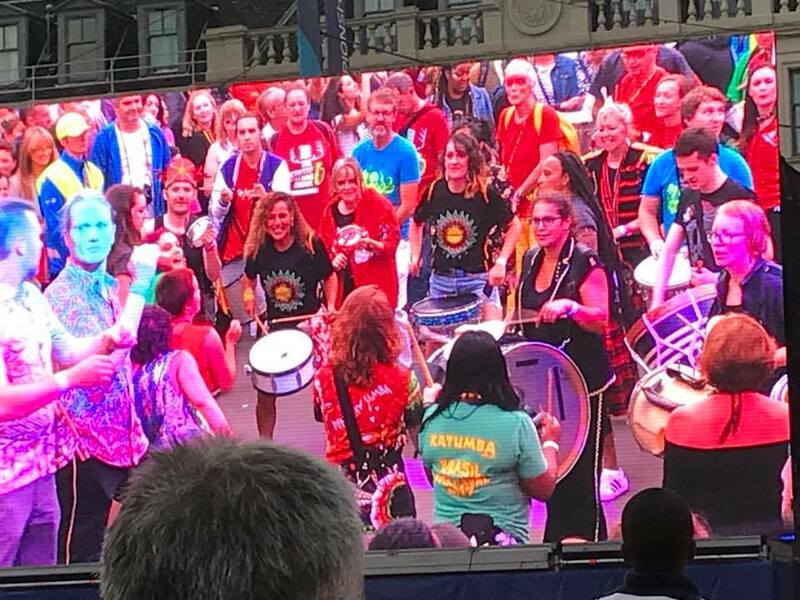 Not only as (although only in it’s second year) the Festival had quickly become a highlight of the Katumba calendar, but also because I would get to spend the whole weekend with my new Katumba family! 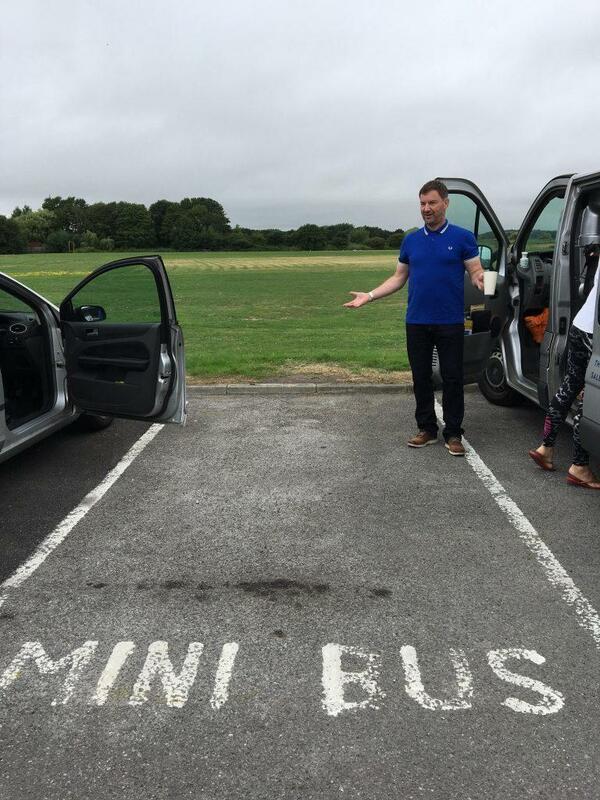 Our trip got off to a rocky start as we had hired a mini bus to get us to Glasgow but the hire company let us down last minute. We were shocked but so humbled when several members rallied around to provide lifts for everyone. 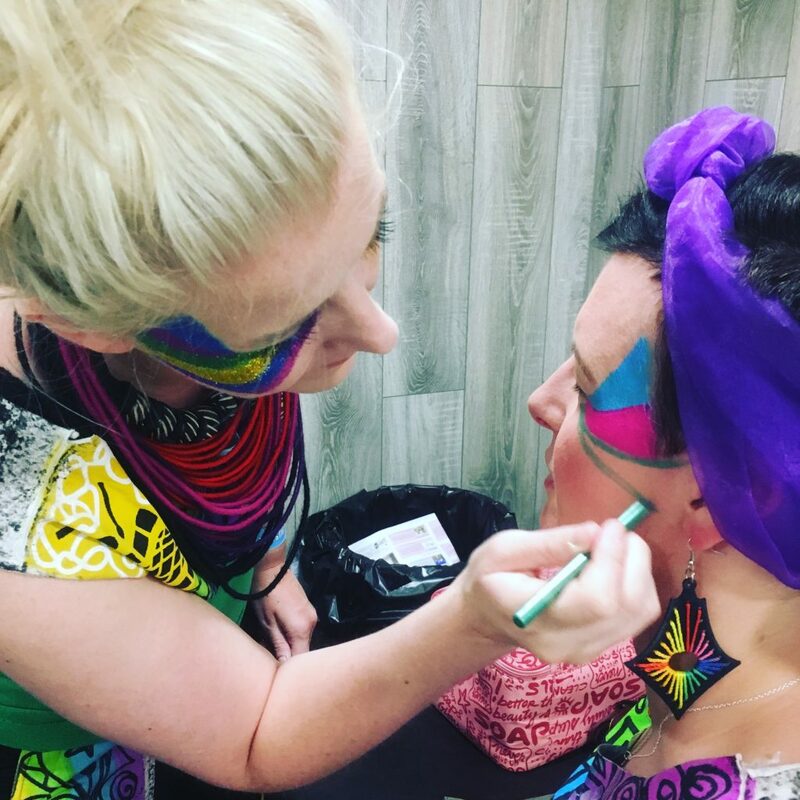 We arrived to discover the accommodation was great, the rooms were clean and beds comfortable – our room even had it’s own Katumba make up station where we all helped each other get ready for the gigs! The first evening there was a massive welcome party in the old fruitmarket for all the bands. 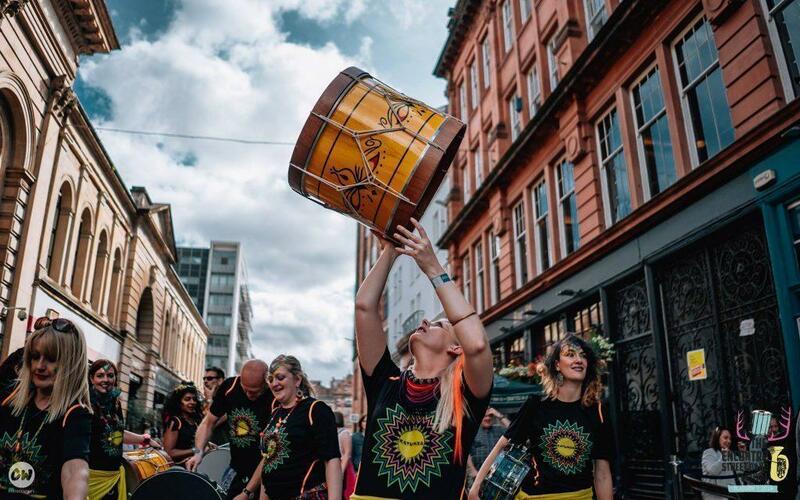 It was a chance to dance and let our hair down as we all descended on Glasgow and we could get our bearings as the old fruitmarket was our base for the weekend – a place to store our drums and meet before performances. We literally had a couple of hours to learn a brand new song with people we had never played with before. It was extremely nerve wracking but everyone was so lovely and supportive and we had so much fun collaborating and getting to know the other bands. Saturday morning we were up bright and early as some of us joined in for the Honktwister- a massed band rehearsal of over 100 people from both drumming and brass bands. After rehearsal it was a mad dash to our first Katumba gig of the weekend! Glasgow was absolutely buzzing! A lot of roads were closed due to the festival and the championship games and everywhere you looked there was something going on and people were smiling. Playing in this atmosphere was like nothing we’d ever experienced. Other bands came to watch us perform and they danced and cheered us. 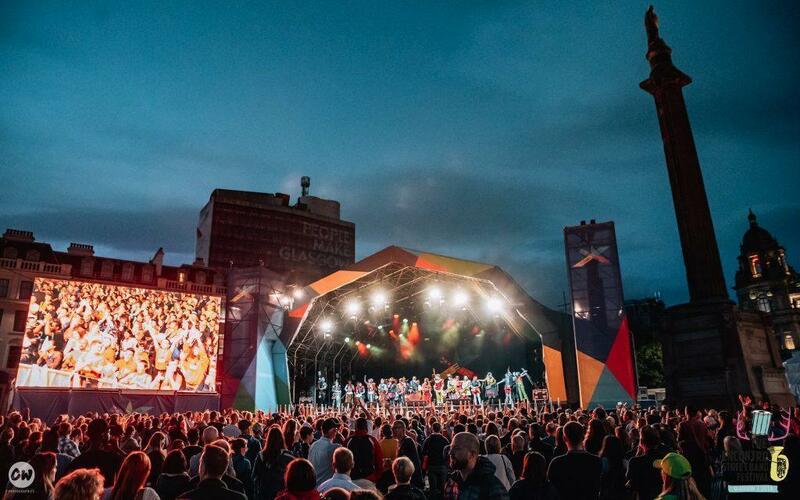 Many people came over to tell us how much they enjoyed the band and that we had inspired them; it was such a pleasure to perform to such a lively, happy crowd. Performing with so many bands together at once is something I will never forget. 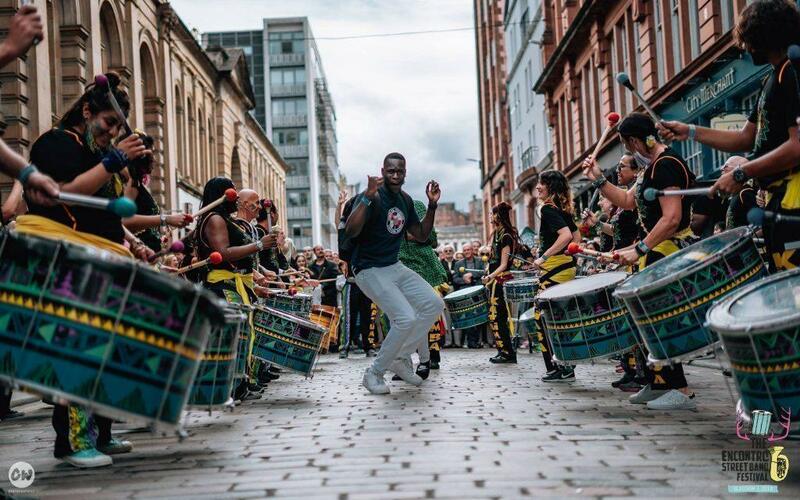 We played a total of 4 performances with Katumba over the weekend and each performance was exciting and energetic as the crowds were so interactive and entertaining. We also loved our time between performances when we had the chance to go and watch other bands. There was so much talent and we left feeling inspired by the different flavours of music. Late Saturday evening, at the afterparty, we were entertained by the band Velotronix who had travelled all the way from Brussels for the festival. This band were incredible and really know how to get a crowd going. Talking to them afterwards they shared that they would love to come to Liverpool in the future- it would be amazing to collaborate with them in our home city. Follow the Encontro Street Band Festival on facebook!